Watching the Olympic cycling road race last week, I was struck by how unadulterated the cyclists’ uniforms were. They had essentially no sponsors at all, which is in stark contrast to the teams in which the cyclists ride. One of the strange/charming things about professional cycling teams are that they are named for their sponsors. This would be a bit like Manchester United being called ‘Team Chevrolet’, or the England cricket team being called ‘Waitrose Pro Cricketeers’. Except pro cycling is such a fringe sport, oftentimes these teams are sponsored by companies who probably aren’t widely heard of in their native countries, let alone on the world stage. 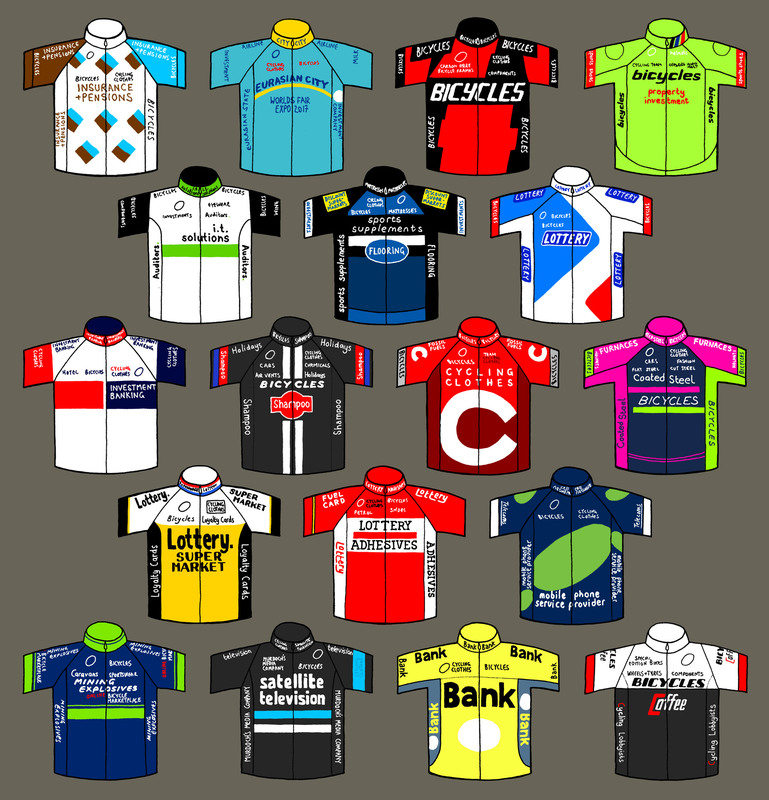 The whole thing got me wondering – what if UCI WorldTeams were simplified to what the sponsors’ companies actually do?